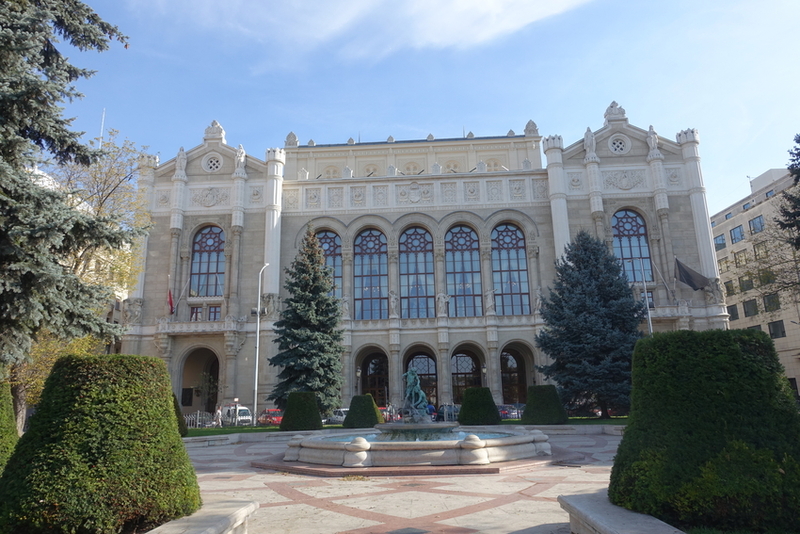 We had a four day weekend in October, and thanks to some cheap tickets, we flew to Timișoara, Romania (see our time in the city here! 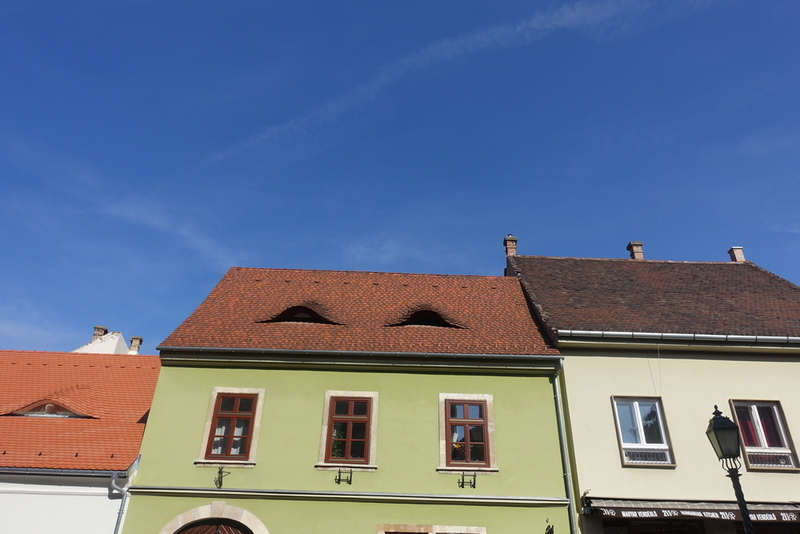 ), but opted to rent a car and spend the majority of the weekend in Budapest. 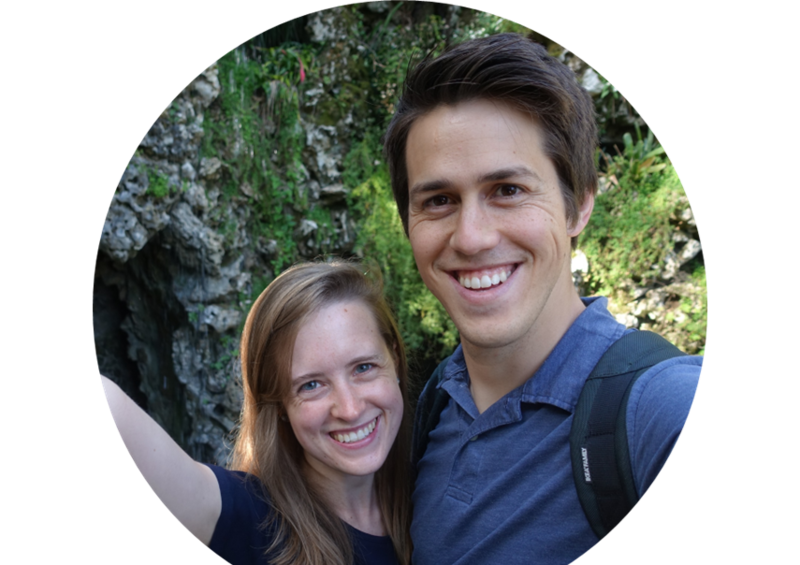 Our time off fell over Danny's birthday weekend, so not only did we get out and see the sights of Budapest, but we also did our best to eat a lot of good food. I mean, that's usually a priority for us, but it was especially true this weekend, as Danny wanted to eat certain things on his birthday...well, you'll see soon enough. We got settled into our Airbnb, which, by the way, was a fantastic surprise. The photos online looked nice, but in person, the place was really beautiful and probably one of the nicest Airbnbs we've stayed at. It was a little farther out of the city center than is ideal, I think, but at $50 a night, it was hard to beat. 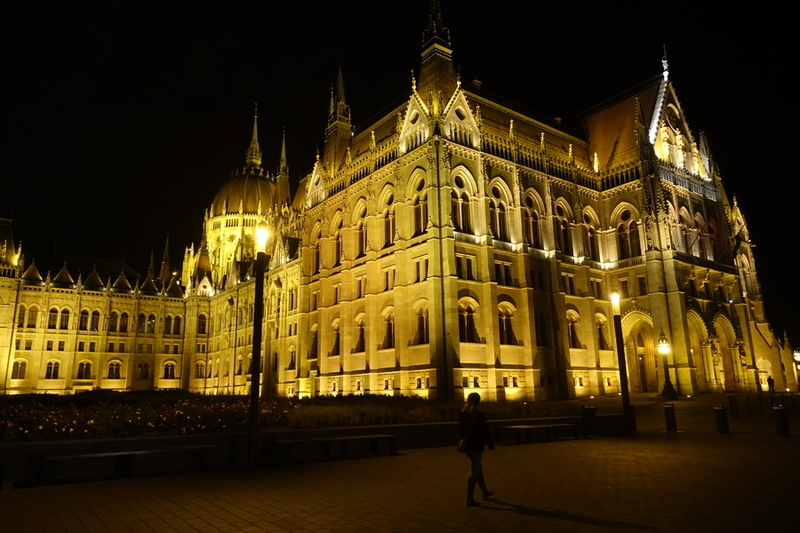 We walked to the Hungarian Parliament Building, which sits along the Danube River and is probably the city's most recognizable icon, by day or by night. We walked along the front of the building and the river until we came upon the Shoes on the Danube, a memorial made up of iron shoes in honor of those who, in the midst of World War II, were made to remove their shoes by fascist Arrow Cross militiamen, shot, fell into the river, and then washed away. D - We started exploring Budapest at night (I think around 7pm), and we immediately noticed a stark contrast between it, and Spain, where we normally live. Whereas the streets of Madrid are almost packed with people until 11pm or later (and even then there are still more people out then you'd expect), the streets of Budapest were practically deserted when we began walking around. I generally like a fair amount of...um...witnesses around at any given moment as a tourist in a foreign city, so I tried to navigate us towards the main city streets where there was still traffic, just in case. I didn't know anything about Budapest before arriving, so the splendor and grandeur of the parliment building really took me by surprise! We ate at Great Bistro, a laid-back vegan cafe that we thoroughly enjoyed before calling it a night. In the morning, we found bagels for breakfast at...well, Budapest Bagel. Bagels, let alone bagel sandwiches, are tough to come by in Spain, so we were pretty stoked about this place, and went back the next day to get some to go for our early morning on our last day. We began our first full day at Budapest's Great Market Hall, open every day but Sunday at 6am since the late 1890's. Stalls on the first floor sell mostly food like meat and produce, and the second floor is primarily for tourists with souvenirs and places to eat. We didn't check out the basement level, but I hear there are more grocery-type foods there. We used the nearby Liberty Bridge to cross the Danube River from Pest to Buda (I had no idea this was even a thing until we got there - formerly, there were two separate cities on either side of the river: Pest is the side with the Hungarian Parliament Building where we were staying, and Buda is greener, hillier, and more residential), where we walked along the river until we got to the Chain Bridge (the more famous of the two bridges, and the first permanent bridge to cross the Danube in Hungary), so we could cross back over. 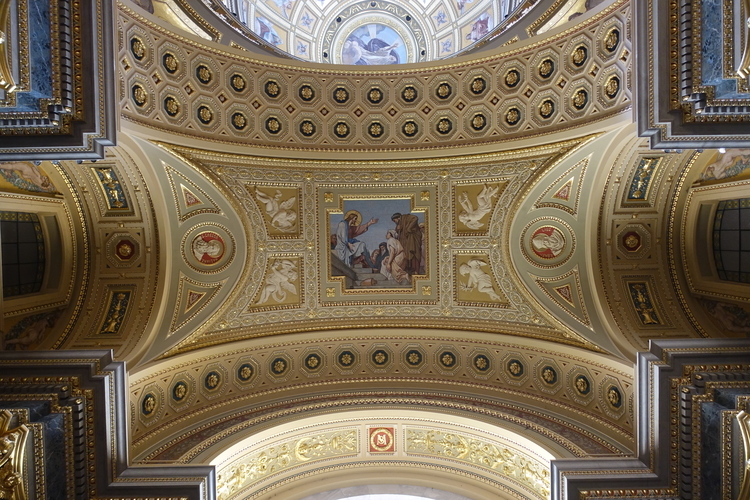 We made just a few more stops before lunch, first at St. Stephen's Basilica, a Catholic cathedral named after the first king of Hungary, and next, another visit to the Hungarian Parliament Building so we could see it during the daylight. We ate at Madal Pasta Bar and on our way to the House of Terror, we saw some pretty enticing cinnamon rolls in the window of Bite Bakery. In a land where Cinnabon has no locations (I believe the closest one to Spain is in Morocco...I know, I was surprised too), we can't be too picky when it comes to these sweet, sticky delights, but I know I was pleased with this particular roll. D - What a pre-birthday treat at Bite Bakery! Seriously! I love cinnamon rolls (sticky buns) like flamingos love shrimp and as a connoisseur of sorts, I heartily recommend this place! The rolls were as good as any I've ever had! The House of Terror recounts the fascist and communist governments that ruled Hungary for much of the 20th century, including, but very much not limited to, World War II. 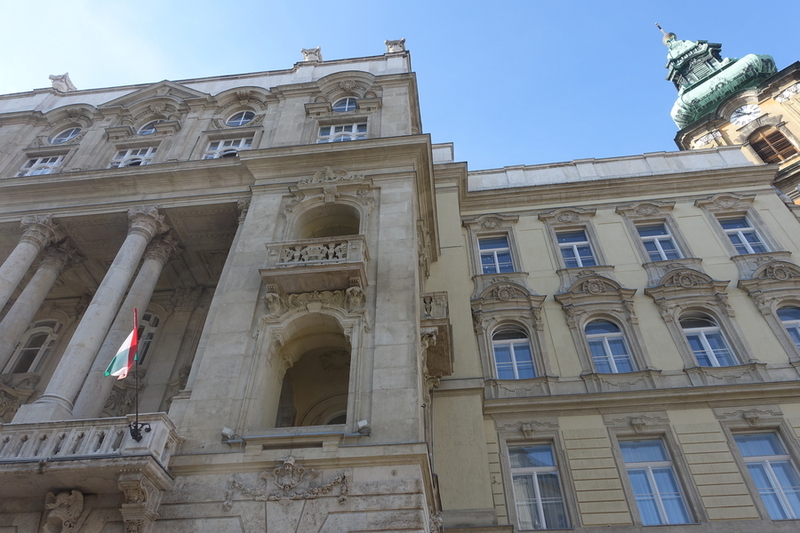 The building that the museum is located in was used as Nazi headquarters in the 1940s, and by the State Security (Hungarian KGB) during communist years - countless people were detained, interrogated, tortured, and killed in the very fittingly named House of Terror that we toured. As we headed to our final destination of the day, we walked along Andrassy Avenue, a grand street lined with elegant buildings and mature trees, ending up at Heroes' Square. 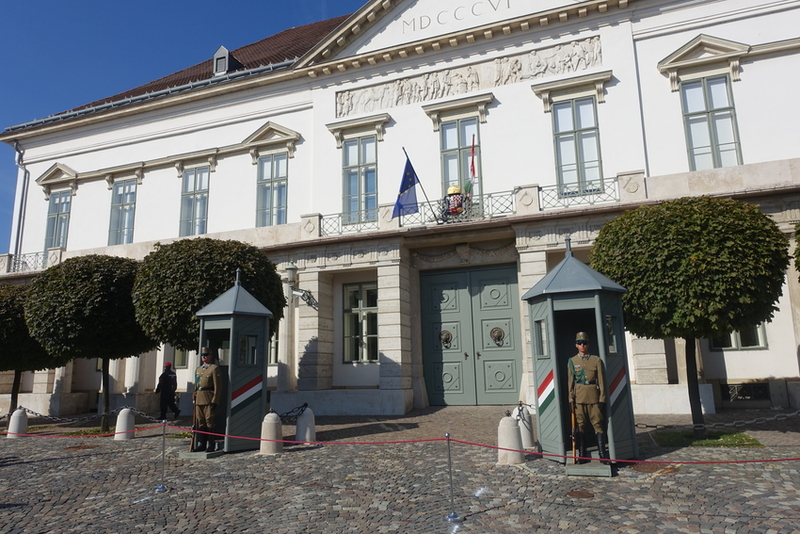 On the edge of Budapest's City Park, Heroes' Square pays tribute to important Hungarian national leaders and also contains the country's Tomb of the Unknown Soldier. 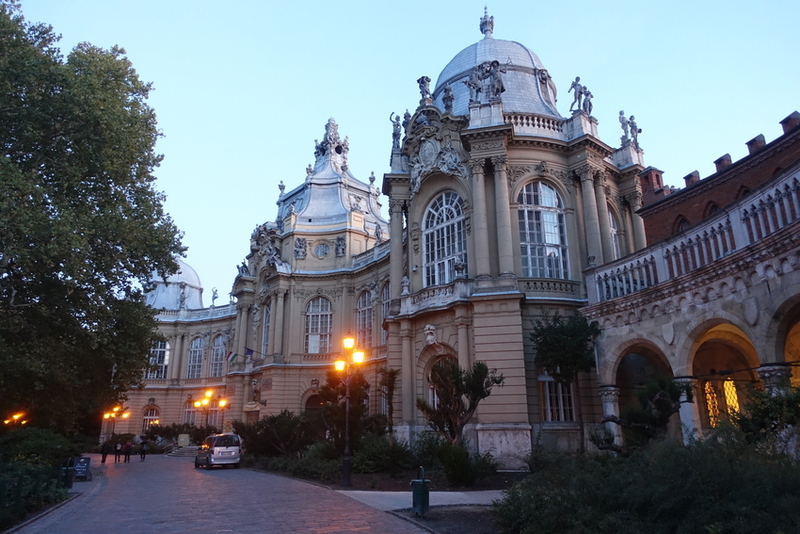 We had to walk through City Park to reach Széchenyi Thermal Bath, and we were glad we did! 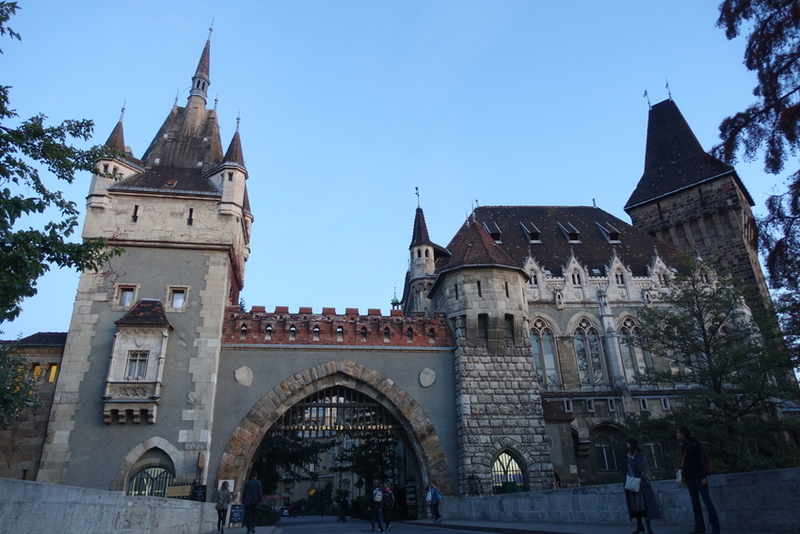 We happened upon Vajdahunyad Castle as we tried to follow our map, and as is so often the case with traveling, sometimes the unexpected, surprise stops are the best ones - the castle is (nearly) surrounded by water and greenery, only adding to its beauty. The city of Budapest sits on top of nearly 125 hot springs, and choices abound for baths to visit. We selected Széchenyi Thermal Bath, the largest medicinal spring in Europe, with 18 pools, 10 saunas, and what felt like a maze of places to change, receive spa services, and more. Since we visited in the evening, the admission fee was cheaper, but only one outdoor pool was open. Visiting the hot spring was a highlight of the trip for me, for sure. It wasn't overly crowded, and our surroundings were certainly pleasing to the eye - early 1900's Neo-Baroque architecture encircles the outdoor pools, creating an ambiance of elegance as you float around. 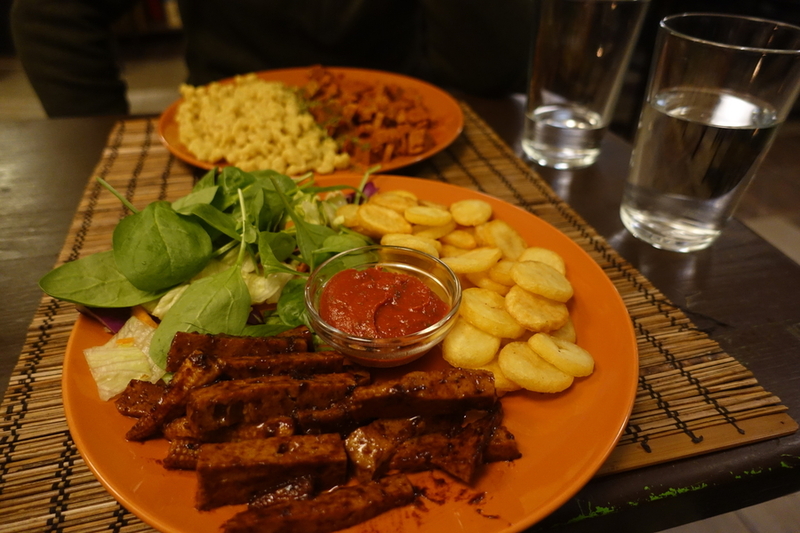 We ate dinner at Kozmosz Vegan Restaurant on our way home for the evening, where we tried some vegan Hungarian goulash (not pictured, but tasty!) and layered pancake dessert. We began Danny's birthday with hopes of going out for a nice breakfast, but upon arrival, we realized that we should've made a reservation - the soonest we could get in was noon. We tried a few other nearby places but most didn't open until lunchtime, so at the point that things were starting to seem really bleak, we came across a bright and slightly gaudy place advertising donuts (Mr. Funk, for those wanting to replicate our thoroughly un-Hungarian experience), one of Danny's weaknesses. As you can see, he was able to get a special "Oreo Donut Freak Shake" and the novelty of it, combined with all the other treats we had the rest of the day, really helped ease the sour note the day started on. D - It's difficult to put into words the inner turmoil I was experiencing as we went from rejection to rejection first thing in the morning on my birthday. Though I was trying to be flexible, mature, and full of grace for Shannon's sake, and I've come a long ways from how much I used to be emotionally attached to food, I was starting to get that feeling in my throat one gets when one is about to cry. I guess I hadn't instantly crossed some sort of threshold into greater maturity and perspective when I went from 27 to 28. Oh well...maybe next year! Stuffed with donuts and ice cream, we crossed over to Buda for the morning. We began with a walk to the top of Castle Hill, but taking the funicular is definitely a good option too. This was one of those times that hoofing it just didn't seem like it would be too tough, and plus, on the way, you can go out on bridges over the top of the funicular for views. Castle Hill is home to, you guessed it, Buda Castle, which is currently where the Hungarian National Gallery and Budapest History Museum are housed. 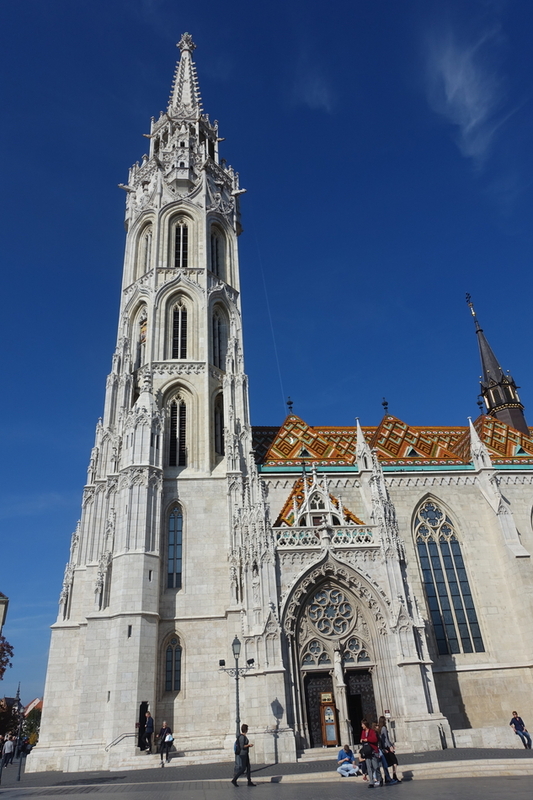 While the castle is imposing and easy to spot from the river and beyond, we enjoyed Matthias Church with its colorfully tiled roof and Fisherman's Bastion the most while in Buda. Fisherman's Bastion is really just an old terrace, to be honest, but it's got to be one of the prettiest ones I've ever seen. It's fanciful and fun, and much of it is free to wander around - definitely don't miss this area of Budapest! We walked on just a couple of the main streets in Buda - colorful, old, and pretty seems to be the name of the game here - before turning around and crossing back over the Chain Bridge for lunch. D - The neighborhood atop the hill in Buda reminded me a lot of the neighborhood surrounding the royal palace in Monaco: very clean, painted in pastels, and full of tourists. I believe that we had a plan for lunch, but when we were visiting St. Stephen's Basilica the day before we walked by a place that caught Danny's eye - Hot Dog Cold Beer - specializing in corn dogs, chips on a stick, and deep-fried candy bars (I can't really speak to the beer as we didn't really scope it out). We tried one of each (okay, two of the candy bars, one Mars and one Snickers) and went back to our Airbnb to Skype with our families before the day's food finale at the Hard Rock Cafe. Danny really wanted macaroni and cheese on his birthday and decided the Hard Rock would be the best place to find it in Budapest, so we made our first visit to the international American classic in search of it, and he's been raving about it ever since, so that's a birthday success in my book! D - Yeah, what can I say? I love eating healthy and the feeling that comes along with it, but on my birthday give me something deep fried. Let it be known: the mac and cheese at the Hard Rock is exceedingly delish. Also, a note to my future self: moderation is usually best with these types of foods. Next time, you can just share one deep fried candy bar. 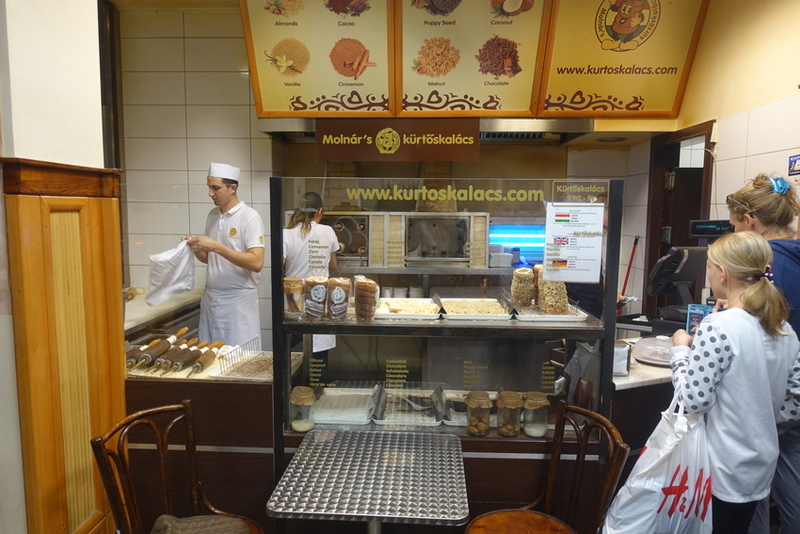 Our final Budapest fun was an hour-long cruise on the Danube, but not before we grabbed a final sweet treat: a chimney cake, or kürtőskalác, in Hungarian. We got our spit-roasted cake at Molnar's, and chose cinnamon sugar out of the eight different flavor options, although I'm not sure you can really go wrong - as long as yours is hot and fresh, the flavor is really secondary. D - This was our first chimney cake, and since then, I've added it to my list of things that I must get whenever we come across them (though I'm not sure if Shannon has added it to hers, and let's be honest, that's really the only list that matters). Shannon is right, like Krispy Kremes the hotter and fresher the better. The Danube cruise, complete with headsets supplied at each seat in a huge variety of languages was surprisingly good. The commentary was interesting and insightful and really added to our appreciation of Budapest. Our photos, well, they turned out like most of our nighttime ones do - bad. But our time cruising the river certainly wasn't, and I'm really happy we decided to do it, as I'm always on the fence about boat tours. 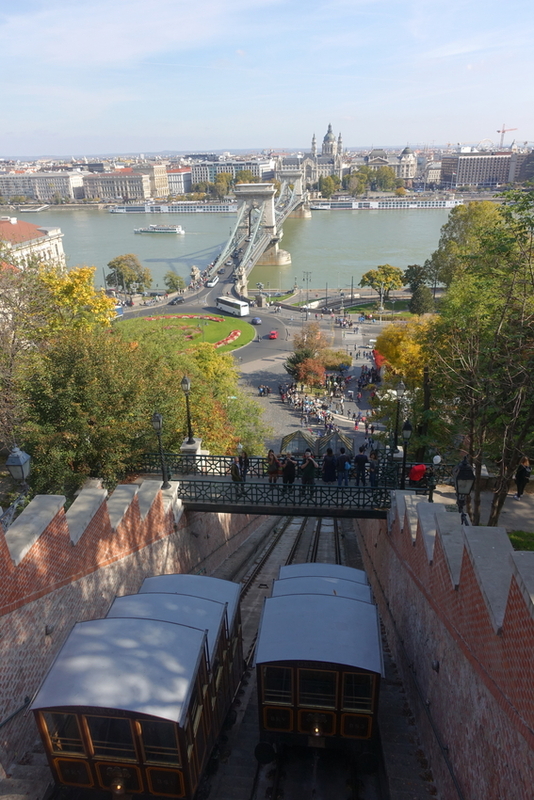 I scoured blogs and watched Rick Steves in preparation for our trip to Budapest and made a long list of everything I wanted to see and do in the city. It's always hard to tell how long things will take and how ambitious a plan really is until you get on the ground and start going. 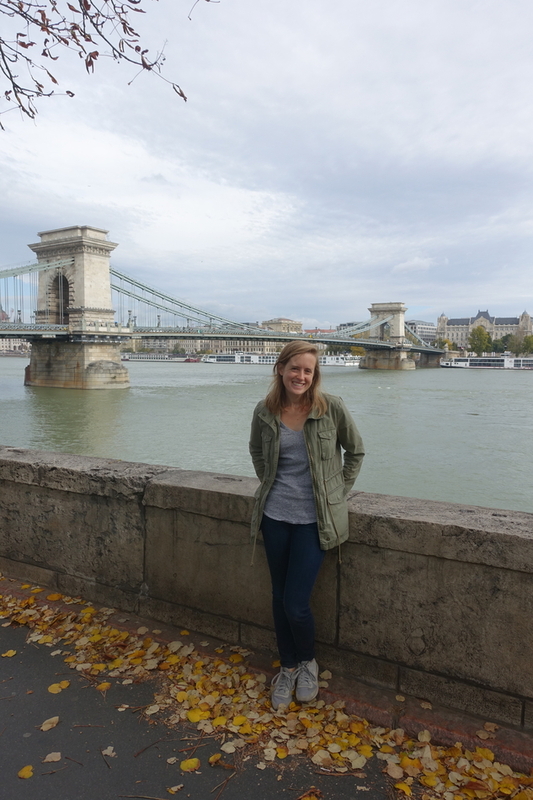 It turns out that two days in Budapest was really pretty perfect. We saw everything on my long list aside from two things (the M1 Millenium Line Metro, which is the third oldest metro in the world and the oldest on the European mainland, and the Jewish Quarter. I also had the New York Cafe on my list, which we stopped by but decided not to eat at - it's pretty, for sure, but we've been to a lot of pretty places so I counted it as something we 'did' :)), and I feel like we took a fairly relaxed pace, stopping for leisurely meals and photos and even coming back to hang out at our Airbnb in the middle of the day to chat with our families and regroup a bit. 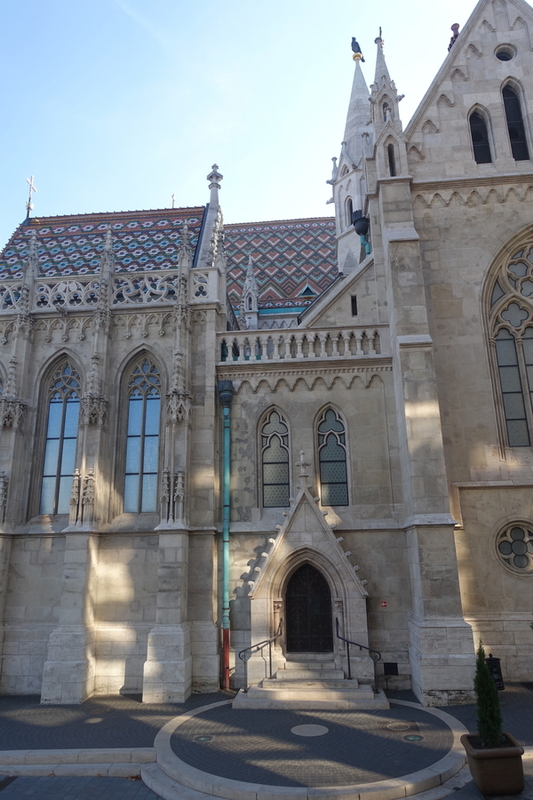 I was worried that two days wouldn't be enough, but we left and I felt content - sure, there's always more tasty food to try and corners to explore in every city, but for the average tourist, I think two days is perfect for Budapest.